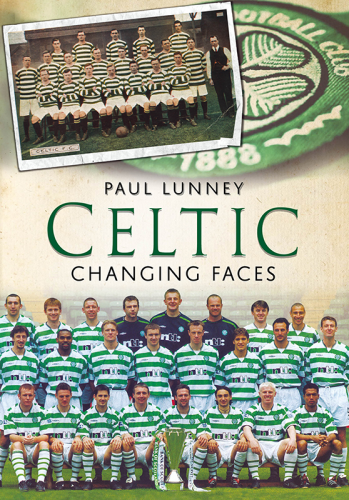 This new book by accomplished Celtic author and football historian Paul Lunney is a fascinating pictorial review of the club’s first 125 years. 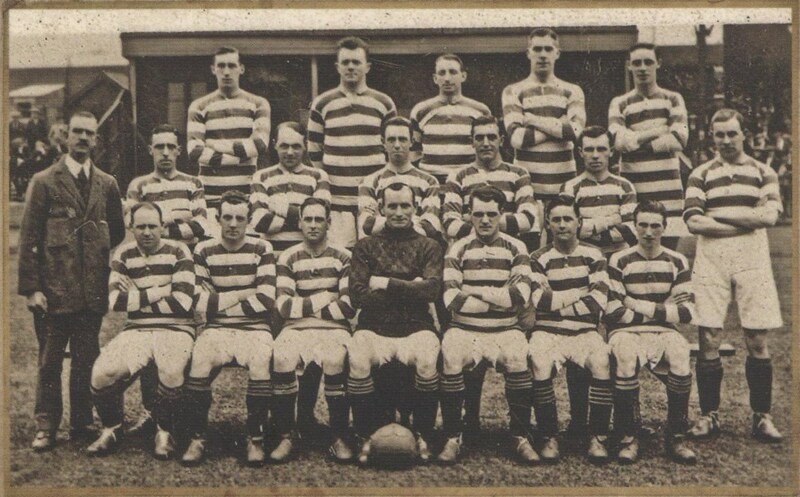 Here you will find the earliest Celtic team photos through to the latest and players ranging from Darlin’ Willie Groves and Johnny Campbell, among Celtic’s earliest stars, to Paul Elliott and Scott Brown from the current era. 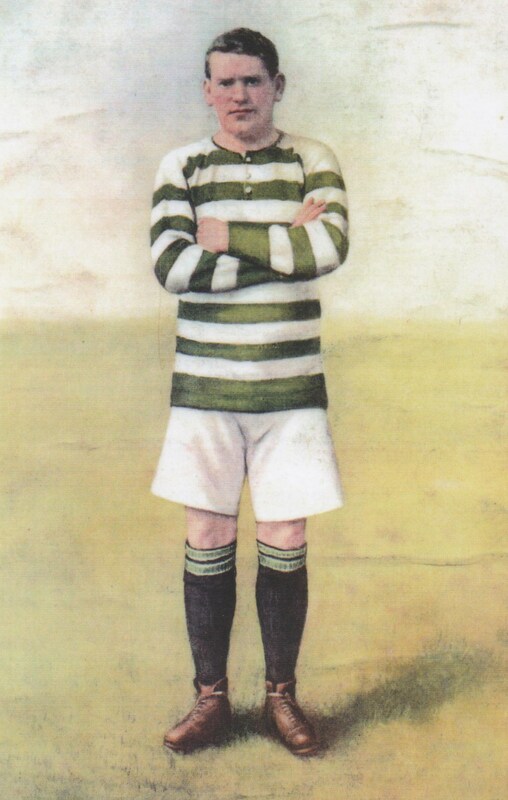 In just under a hundred pages you are transported through monochrome and sepia to full blown colour as the early green and white stripes give way to the now famous Hoops, Celtic Park expands in the backgrounds and the trophies begin to pile up. 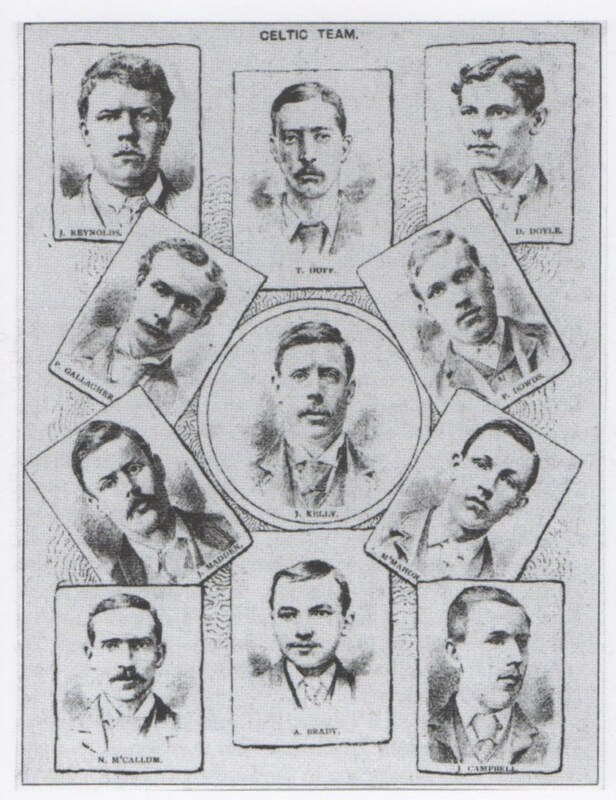 One familiar face which certainly does change over time quite dramatically is that of Willie Maley – pictured in the first ever Celtic team photo of late 1888 as a young man with a fine moustache and then through almost every season, ageing with the turn of each page, until we finally see him sitting, still an impressive physical specimen, next to Jimmy Delaney and the Scottish Cup winning team of 1937. And that’s where the attraction lies with this book. 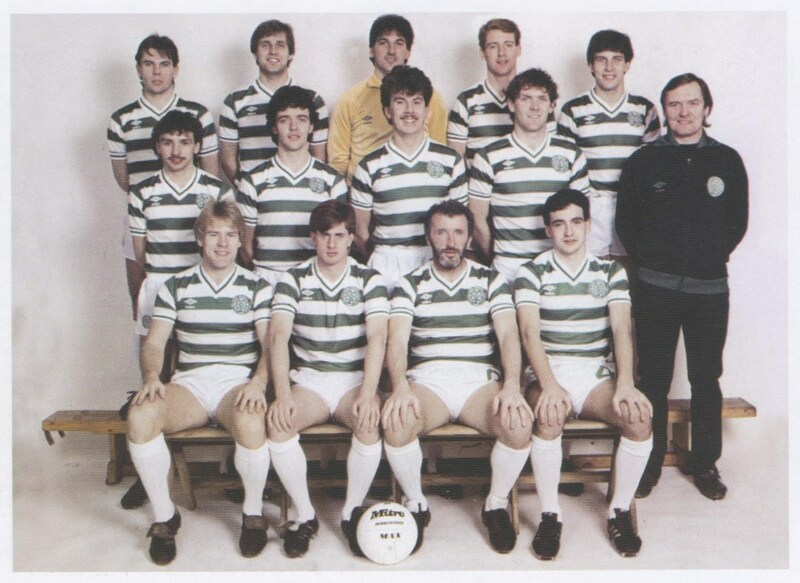 These pages are golden Celtic history, each telling a story of a player or a manager or a team at a specific time, easy to access and to contrast with earlier and older times. The photos come from newspaper libraries as well as the author’s own impressive collection. The quality of them is generally faultless. Some of the early colourised photos are simply glorious – Alec McNair and Jimmy Quinn being particular stand-outs. The identities of reserve players and backroom staff will spark some debate, especially from the heavy 40 plus squads of the 80s and 90s. Pictures of the players out of ‘uniform’ and away from the park are among the most fascinating. There are a handful of photos which will appear new to most fans although the majority will likely have been seen before, if not as well packaged as they are here. 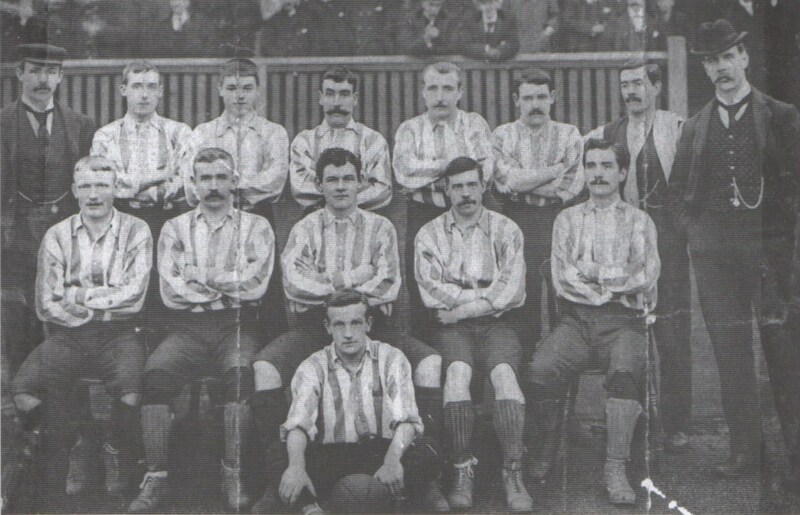 The developing styles and appearances of the team photos will likely attract the most interest. 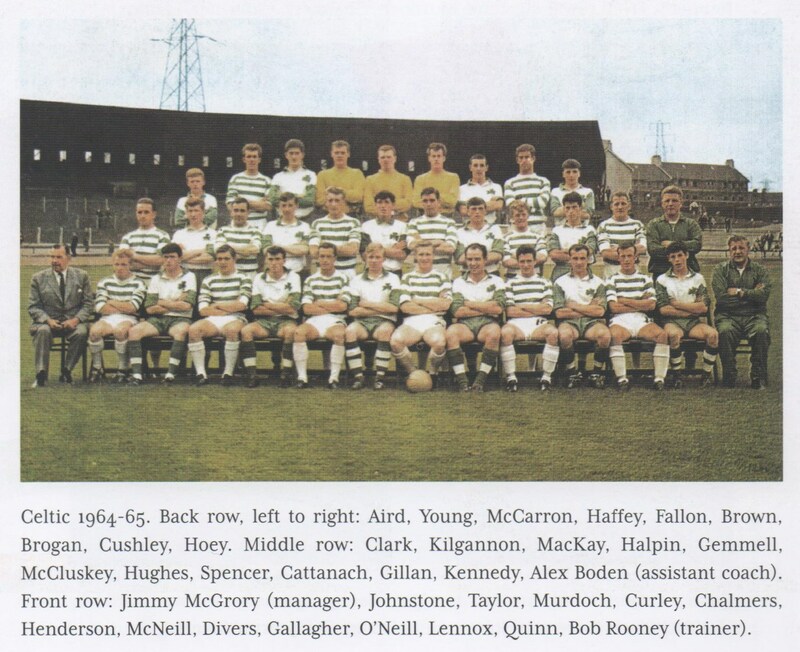 We all have our own favourite era – often the one closely associated with our youth following Celtic – and this book provides an instant opportunity to compare and contrast players from different periods in time. Patsy Gallacher and Lubo Moravcik – who’d have taken the corners? Jimmy Quinn v Bobo Balde – that would provide a competitive edge to training. Charlie Shaw and Peter Latchford – why does one look sturdy while the other manages to look overweight? 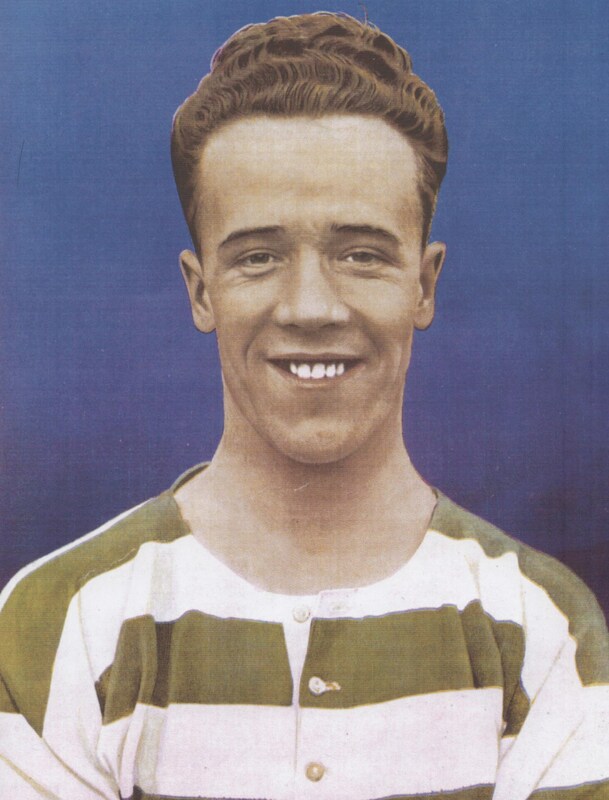 The angelic Dan Doyle and the curly-heided Roy Aitken – was innocence ever so out of place? And then you see a picture of the recently-departed Bobby Collins, fooling about, young and carefree, and you’re reminded that these are men with lives, families and stories of their own beyond the Celtic Story. And you feel gratitude for all their efforts. This book is more than a wander down the Memory Lane sandwiched somewhere between the Gallowgate and London Road. It acts as a reminder of good times, bad times and great times but there’s more to it than that. There are some faces here – and some away jerseys especially – that you’d rather not remember. Yet there’s also lots between the covers to fuel discussion, quizzical enquiries and heated arguments about the contrasting features of the major Celtic eras of success. Paul Lunney has done another impressive job in reviewing Celtic’s history through the use of compelling and often brilliant imagery. ‘Changing Faces’ will grab the attention of fans both young and old for different reasons. A good buy at £12.99, it will be welcome across the threshold of any Celtic-minded home where the history of ‘the bould bhoys’ is cherished.